Wilson is a partner in the firm’s Restructuring & Insolvency Practice Group. 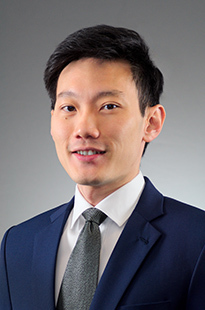 He graduated from the National University of Singapore in 2010, and was called to the Singapore Bar in 2011. Wilson specialises in commercial litigation before the Singapore Courts and arbitral tribunals. Wilson is experienced in complex commercial disputes, with an emphasis on insolvency litigation and shareholders’ disputes. He regularly acts for financial institutions and accounting firms, and has advised on cross-border insolvencies and debt restructurings. Advising a committee of international bondholders against an issuer in a US$400 million bond default, including advising on cross-border restructuring matters. Representing a conglomerate in a claim against former directors and employees for fraud, conspiracy to injure and breaches of fiduciary and other duties. Advising SGX-appointed auditors on a special audit report into a Singapore-listed company’s alleged breaches of listing rules, and assisting in the drafting of the special audit report. Advising a Singapore-listed company on a short-seller’s “Strong Sell” report, which included allegations of material misrepresentations to regulators and undisclosed interested party transactions. Successfully resisted Court-ordered pre-action discovery and interrogatories in an international arbitration dispute involving military vessels reported to be valued at US$380 million. Advising various Singapore-listed companies on internal corruption and fraud investigations, and disclosures to the SGX. Advised and assisted an international bank in acquiring an international wealth management business comprising US$84 billion AUM. Acting for a boutique investment consultancy against a global private equity fund for breach of success fee agreements valued at US$25 million. Successfully removing defamatory statements published on various internet forums. Active practice advising and representing liquidators and judicial managers on insolvency law.